Betsafe – Easter Egg Hunt! Easter will not be dull this year! Win Free Spins and Gadget Prizes! 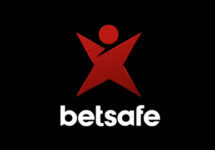 The “Dare Hare” at Betsafe is sending all players on an exciting Easter Egg Hunt that will see a huge amount of Free, Big and Super Spins as well as tons of electronic gadgets going to randomly selected winners. All that needs to be done is to spin actively on three very popular Netent slots during April 2017. Winning a prize has never been easier! Did you ever feel like Easter was dull? It sure won’t be with the “Dare Hare”. He has hidden thousands, maybe even millions of prizes in the form of Easter Eggs all over the blockbuster slots ‘Blood Suckers II’, ‘Gonzo’s Quest’ and ‘Starburst’. It’s up to everyone to find them, just by playing one or all of the three selected games. Winners of Free, BIG and Super Spins or a prize will be notified via an onsite message. This will make sure nobody is missing out on their prizes. Players who spin on the 3 selected slots during the promotion period can be randomly chosen for a Free Spins prize. These can be Free, Big or Super Spins and will be instantly credited. 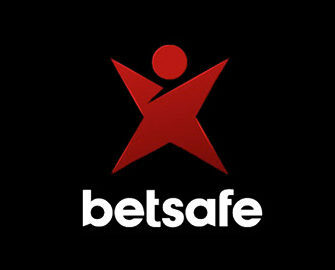 Players need to claim and play them within the same day while winnings from them will carry a 35x wagering requirement. Following the same procedure as for the Free Spins players can be randomly selected for a gadget prize. They can then choose one item from the selection based on their loyalty level. Prizes will be delivered within 60 days and are not refundable or exchangeable for cash. Gold level: Samsung Galaxy S7 32GB, Apple iPhone 6s 32GB, iPad Air 2 128GB – WIFI, Sony Xperia Z4 10.1 inch Tablet with Keyboard, Dell Inspiron 15.6″” 5559, Canon Powershot G1 X Mark II, Sony HT-NT5 Hi-Fi Sound Bar, Optoma ML750e Portable Projector. Silver level: 38mm Apple Watch Nike+, iPad Air 2 32GB – WiFi, GoPro Hero 5 Black Edition, Kindle Oasis E-reader, PS4 Slim Black 1TB + BATTLEFIELD 1, PS4 Slim Black 1TB + FIFA17, Tiffany Heart Tag Toggle Bracelet, Acer Extensa 2511 15.6″” Laptop. Bronze level: Apple TV (4th Gen) 64GB, iPad Mini 2 32GB WiFi, Beats by Dre Solo 3 Headphones, Garmin Forerunner 235 Smart Running Watch, ASUS T100HA 10.1″” Laptop with Detachable Screen, Netatmo Welcome Smart Home Cam, Beats By Dr Dre Pill+ Portable Wireless Speaker – Black, Rotary Ladies’ Ultra Slim Watch. Launched in 2006, the casino is operated by BML Group Ltd. under MGA and UK licenses. The player has the choice of mobile or desktop platforms with Casino, Sportsbook, Live Betting, Live Casino, Virtual Sports and Poker. The Casino section has a large array of games from Netent, Cryptologic, IGT, Leander Games, Microgaming, ONgame, Play’n GO, Thunderkick, Williams Interactive, Yggdrasil and Evolution Gaming for the Live Casino.